Our eco committee have been working hard to ensure we are saving energy as a school. The team, who were elected by their peers, have been thinking about energy use in their classrooms and around the school. They have been conducting weekly energy walks to improve energy efficiency in school. Click here to follow their progress. 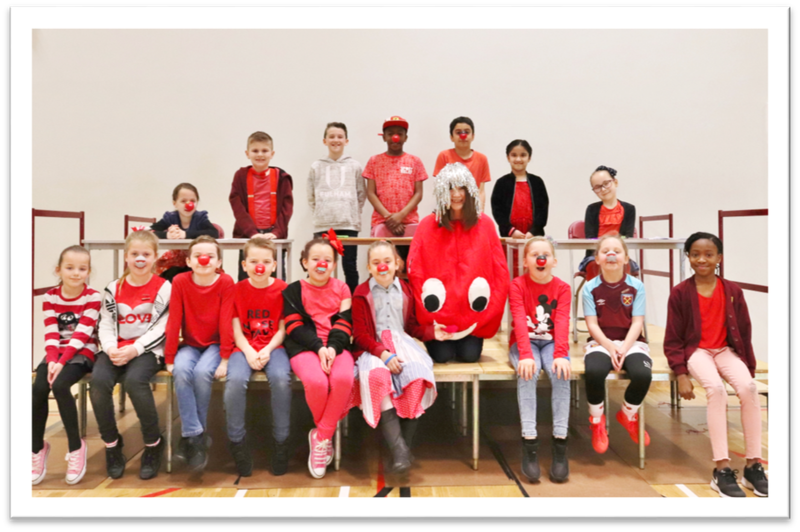 Well done to the School Council for their hard work in helping to raise such a fantastic amount of money for Comic Relief. 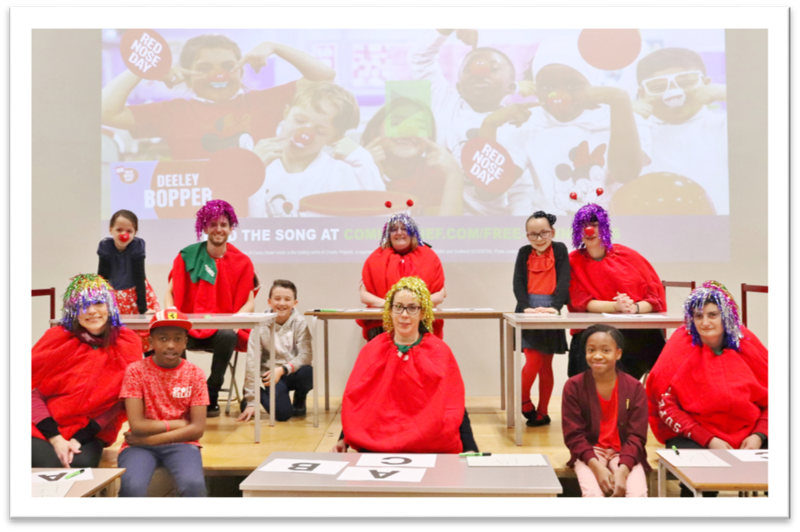 The whole school enjoyed a fun assembly which included some of the teachers taking part in a Comic Relief quiz dressed as red noses! Thank you to everyone for their kind donations; the total amount raised was £914. 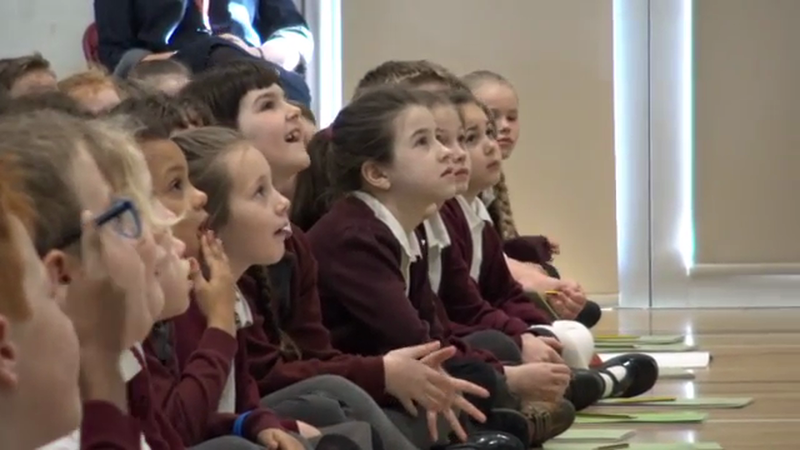 You can find out more about our School Council by clicking here. The Official World Book Day Illustrator and Author 2019-20, Rob Biddulph, visited children in years 3 and 4 on Tuesday 5th March as part of our World Book Day celebrations. Rob inspired the children with a talk about his journey to become an illustrator and author and guided them to create some incredible drawings during a live draw along. He also signed books for the children and created a special illustration to be displayed in the school library. Rob appeared on BBC Breakfast and Blue Peter later on that week. On Thursday 7th March, World Book Day, the school was filled with literary characters as children and staff dressed up to celebrate a love for reading. 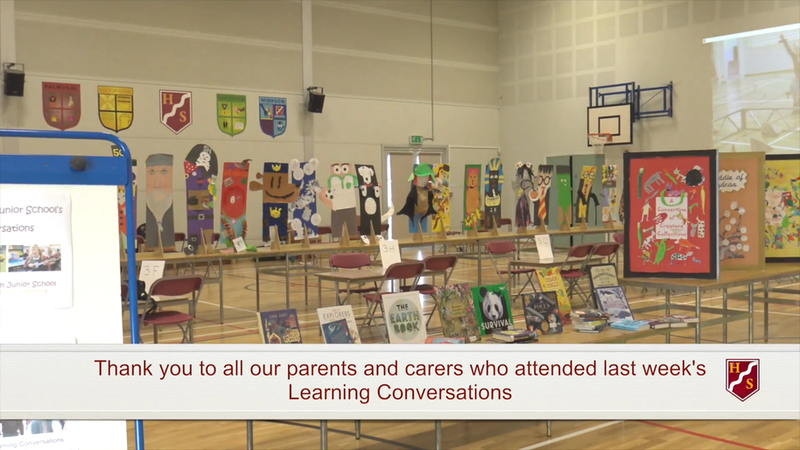 There was a special assembly to celebrate winners of the library competition and the most creative costume competition. The children also enjoyed a special World Book Day themed lunch in the canteen. Each class participated in a challenge to create a double sided bookmark which included the image of a character on the front and individually made bookmarks on the back. Every pupil in the school took home a voucher that they could spend at the book fair the following week.